On November 10, 1898, a mob of 400 rampages through the streets of Wilmington, North Carolina, killing as many as 60 citizens, burning down the newspaper office, overthrowing the newly elected leaders, and installing a new white supremacist government. The Wilmington Race Riots--also known as the Wilmington Insurrection and the Wilmington Massacre, is the only coup d'etat on American soil. The violence was prompted by the increasing political powers African Americans in the town were gaining during Reconstruction. 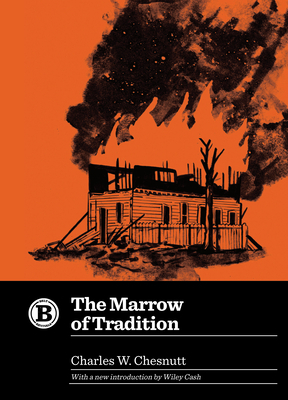 The Marrow of Tradition is a fictionalized account of this important, under-studied event. Charles W. Chesnutt, an African American writer from North Carolina who lived in Cleveland as an adult and was the first black professional writer in the nation, narrates the story of "Wellington" North Carolina through William Miller, a black doctor, and his wife, Janet, who is both black and the unclaimed daughter of a prominent white businessman. Along with dozens of other characters, including a black domestic servant whose speech is rendered in vernacular dialect, they create a composite of Reconstruction and the violent racial politics created in backlash. The novel is also a masterful work of art that stands on its own: gripping, nuanced, and wholly original. Charles W. Chesnutt (1858-1932) was an African-American author, essayist, political activist and lawyer, best known for his novels and short stories exploring complex issues of racial and social identity in the post-Civil War South.